What happens to modern society when a pandemic hits a major metropolitan city? Would the U.S. public really be happy about the government having highly trained agents embedded in the populace? Why can't a heavily armed secret agent open a fence door protected by a simple padlock? 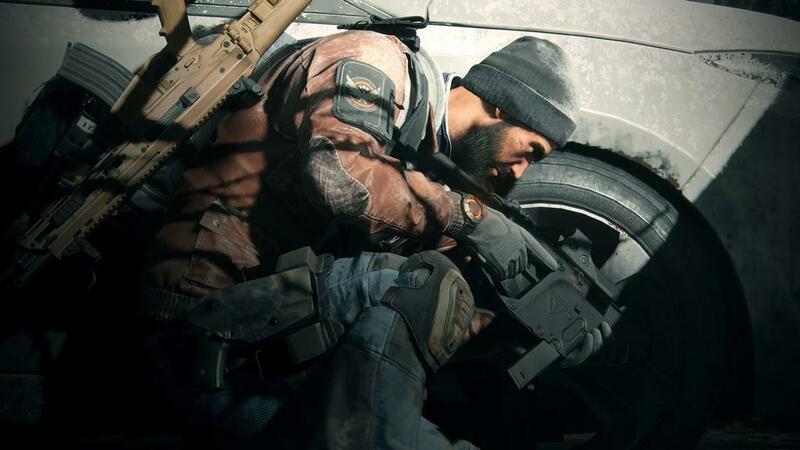 Set in a plague-ravaged New York City, you are a member of The Division, a group of agents trained by the government and then embedded into the general population. When the need arises, the government activates you to restore order. In game you are actually a member of the second wave of Division agents who are dispatched to NYC, and one of the many mysteries you will have to solve is what happened to the first wave of agents. 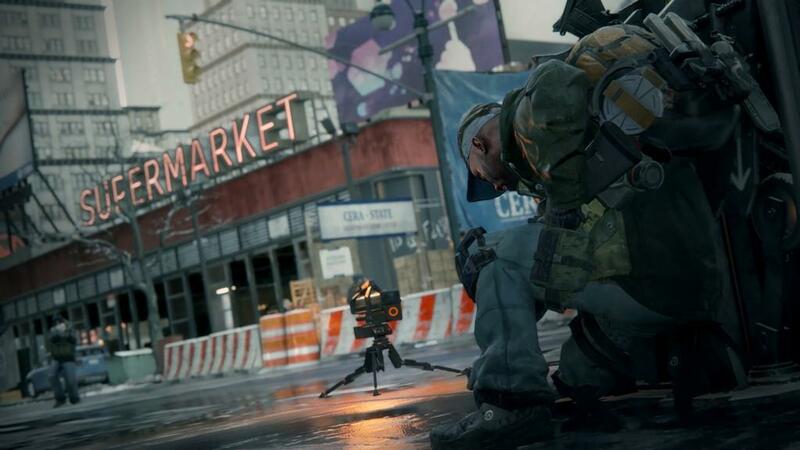 Your goal is to rebuild the main base of operations and retake control of NYC—one district at a time. Each district has a central safe house where you unlock all of the missions for that district. There are three mission types: Encounters are short missions that grant you supplies for one of the wings of your base; side missions are semi-story-driven missions granting you experience points and weapons schematics; and story missions are longer, more difficult engagements that drive the main story. I played most of The Division by myself, as most of the encounters and side missions can be completed by a lone operative. The story missions, however, are difficult enough that I called in help. There were a few cases where I was high enough level to do them alone, but having others around helps, especially with some later missions. Finding help for these missions is easy. There is a gateway in front of each story mission allowing you to quickly partner up with other agents trying to complete the same mission. The only problem with this is that you're occasionally paired up with players who are just farming the mission for loot. This leads to speedrunning the mission rather than enjoying the story at a normal pace. It also leads to missing a few plot points occasionally, but you can always go back and replay the missions at the same or harder difficulty level if you want to. There isn't a lot of variety to the missions though. Each district has you helping the JTF to set up a presence, finding and protecting supplies, rescuing hostages, scanning for virus data, finding lost people, and reestablishing communications in an area. The structure of these missions usually is the same from district to district, but occasionally changes up to keep you on your toes. These missions make sense within the context of the game, but some might see this as a grind. Outside of the core missions, you'll also gather pages of a survival guide, collect phone recordings, and gather ECHO beacons. The ECHOs are kind of a combination of audio diary and hologram recreation of a moment from the past. They often reveal how things broke down during the early moments of the "Dollar Flu" outbreak, the Black Friday virus that put NYC into quarantine. The story missions are where the action really is. I'm impressed with how good most of them are. My personal favorite is one where you have to fix an electrical issue in Times Square. After a brutal five-minute firefight, I'm rewarded with the billboards and signs in Times Square flickering back to life. I'm not a New Yorker, but this one moment of bringing things back to the way they were was touching in a way that you don't see in a lot of games. 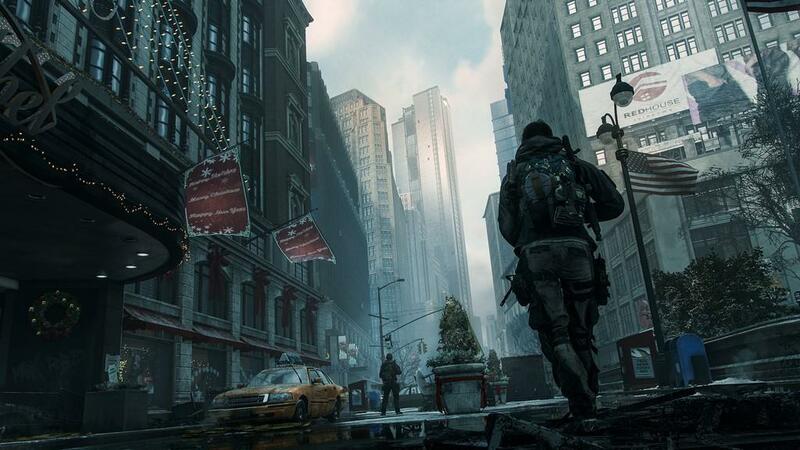 New York City is lovingly recreated in The Division. While it's easy to focus on the surface level of the city, developer Ubisoft Massive did an amazing job constructing the areas above and below street level. You'll explore sewers, the underground railroad, and the city rooftops. Sure, you can stick to the main routes in the city, but venturing off the beaten path leads you to all kinds of hidden treasures. The weather systems are a particular highlight. I don't think I've ever seen a game with such a realistic weather. You've got everything from crisp clear winter days to raging snowstorms—and the visibility matches the weather perfectly. Toss in a fantastic day-and-night cycle and The Division has one of the best environments I've ever seen in any video game. But people aren't going to play The Division for the environments and the time of day; they are coming for the gunplay and action and The Division delivers in spades. Quite simply, The Division has some of the best gun combat I've ever experienced. The weapons feel great and the cover-based mechanic works on every level. As things progress, the enemy A.I. gets smarter and smarter. By the time you reach the last group of enemies, you will have to constantly be aware of your surroundings as they smartly flank you and use every trick in the book to flush you out into the open. You are sometimes thrown into battles with over 10 other A.I. opponents and it creates some of the most intense battles I've ever seen. Another impressive feature is the user interface. The gaming industry has experimented with seamless user interfaces before (like the Dead Space games), but The Division takes that to the next level. Everything you do is done within the game world—there is no navigating menus outside of that realtime environment. You can customize the interface if you want, but personally I enjoy the stock interface. It gives me everything I need. 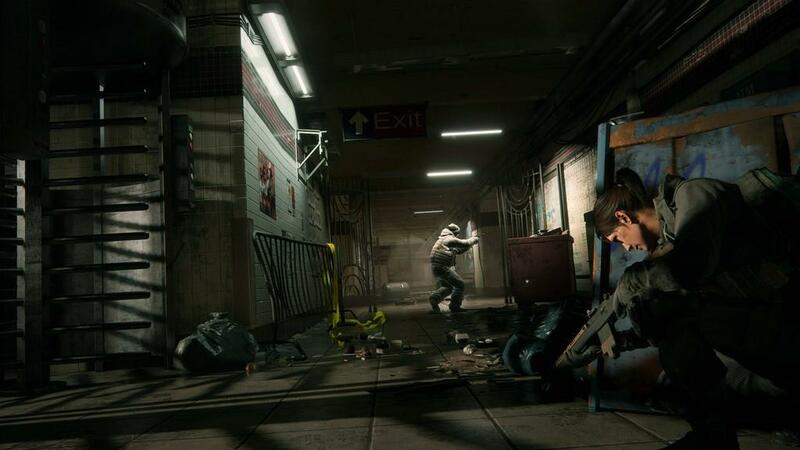 In addition to the campaign, the game includes the Dark Zone. This is a lawless area in the middle of the city, where you can battle against other players or against much harder opponents for high-end loot. Players are encouraged to team up against the A.I. here, but you can also turn against your teammates and collect their hard-earned gear. It's a nice twist on traditional multiplayer, and could certainly lead to a lot of interesting situations with friends. The cover system in The Division is good and bad. For the most part, it's very easy to hop into cover with a press of the X button. You then move to another area of cover by highlighting it and holding down the X button. If you want to exit your run before reaching the cover, then let go of the button. Most of the time this works perfectly, but there are instances when I get caught on the wrong side of cover. Most games with this type of cover mechanic have this issue, but that doesn’t make it any easier to deal with. Also problematic is the mantling system. There’s no jump button, but rather you hurdle over certain objects in the environment. You may spend more time figuring out if you can cross an area than you'll actually spend getting there. There are other minor issues, such as how in-game chests in multiplayer games can only be used by one person at a time. I think this led to the launch issue of players having to line up to use a laptop at the start of the game. But for the most part, my experience with The Division was glitch free. It would be easy to compare The Division to Destiny as they are both online shooters with MMO-like features. But the two games feel very different. Destiny is alive with activity and you constantly see other players. The Division, however, is more solitary. You only see other people in safe houses and when you invite them into your game. 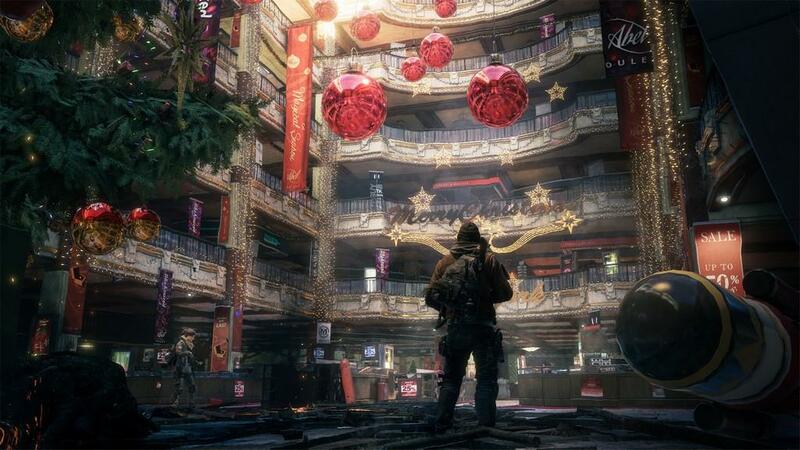 The Division is also a much more somber affair; it lacks Destiny's dramatic flair and panache. I am surprised by how much I enjoy The Division. The delays the game encountered seemed to have paid off as it's a lot of fun and feels like a more fully fleshed-out product than Destiny when it launched. The game is repetitive at times, which will turn certain people off, but the gorgeous environments are unique—and this feels like the game you’re going to trot out when you what to show people what this generation of gaming is all about. 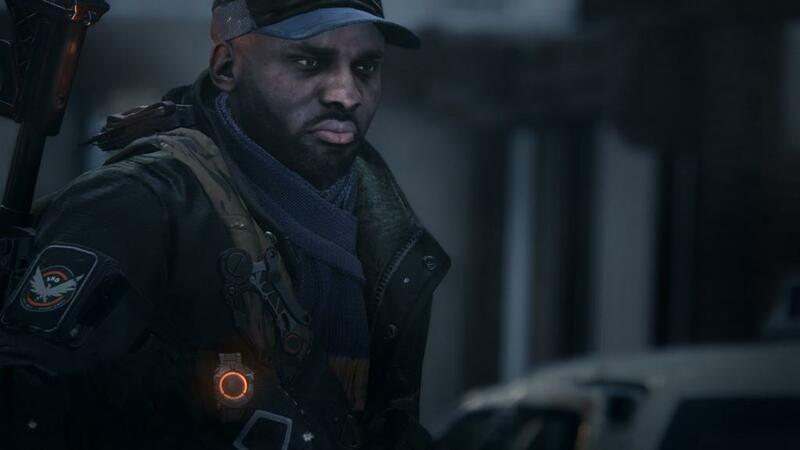 Ubisoft has created a wonderful world for gamers to play in, but The Division is held back by a lack of mission diversity and some gameplay quirks.